Manmohan Singh was addressing the gathering at the launch of his new book 'Changing India'-a six-volume collection of his writings and speeches since 1956. 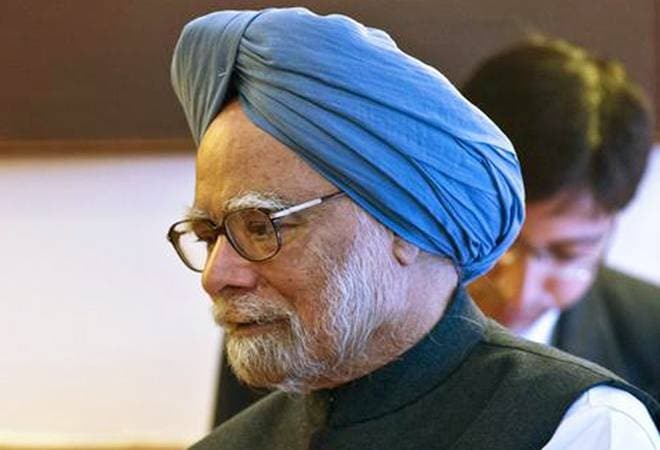 The Manmohan Singh-PV Narasimha Rao combination may have unleashed unprecedented economic reforms in 1991 changing the course of Indian economy, but Singh was not the first choice to be PM Rao's Finance Minister. Rao first offered the job to economist and Singh's friend Dr IG Patel who could not take up the job. Dr PC Alexander who was advising the PM suggested Singh's name. After Rao's approval he came to see Singh at his residence to inform him. "I was then the chairman of the University Grants Commission. The next morning I went to the office as usual. Narasimha Rao ji was searching for me. He asked me: Where are you? I said I am at the UGC. He said hasn't Dr Alexander mentioned to you what we have for you. I said I didn't take him very seriously. Narasimha Rao Ji said: No. You go and dress up and come for the swearing in ceremony. That's how I became an accidental finance minister," Singh told the gathering to peels of laughter. The rest, as they say, is history. Singh was addressing the gathering at the launch of his new book 'Changing India'-a six-volume collection of his writings and speeches since 1956. In his long career, Manmohan Singh served the government as the Secretary, Chief Economic Advisor, RBI Governor, UGC Chairman, Planning Commission Vice Chairman, finance minister and eventually as the prime minister for a decade. At the same event, the former Prime Minister said that the relationship between the government and the RBI is like that of "husband-wife" and the difference of opinions must be resolved in a manner that the two institutions work in harmony. Talking to reporters on the sidelines of the launch, Singh, who is also a former RBI governor, said one has to respect the autonomy and the independence of the Reserve Bank of India (RBI). "At the same time, I would say the relation between government and RBI is like husband-wife relationship. There will be hiccups, there will be difference of opinion, but ultimately these must be harmonised in a manner that these two great institutions can work in harmony," Singh said. Following the resignation of Patel, the government appointed former Economic Affairs Secretary Shaktikanta Das, who spearheaded normalisation of economy post demonetisation of November 2016, as new RBI Governor. "Whosoever is Governor of RBI, I wish him well," Singh said.